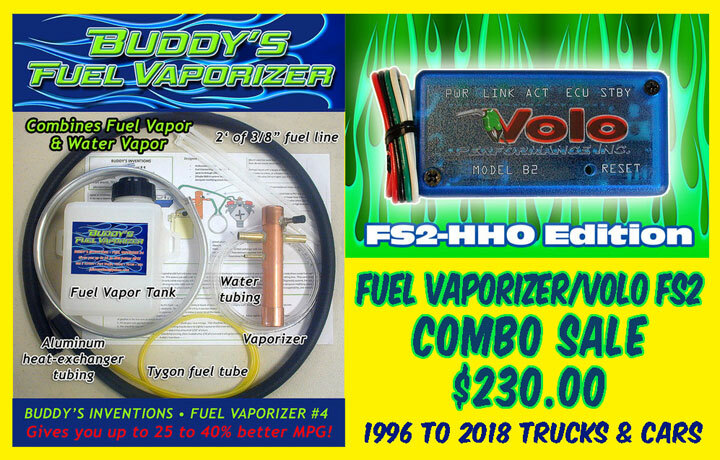 Buddy's Fuel Vaporizer and Volo FS2 Combo Sale! Gives you up to 25 – 40% Better Mileage. Designed for carbureted gas engines, or fuel injected engines with OBD-I systems (1987 to 1995). Also Works well with OBD-II systems (1996-2018) THis combo kit includes a Volo FS2 modifying circuit installed. Installation photo. Check out Darol's Circuits for even more MPG gains and monitor them! We also have Diesel Fuel Vaporizer for semi trucks. 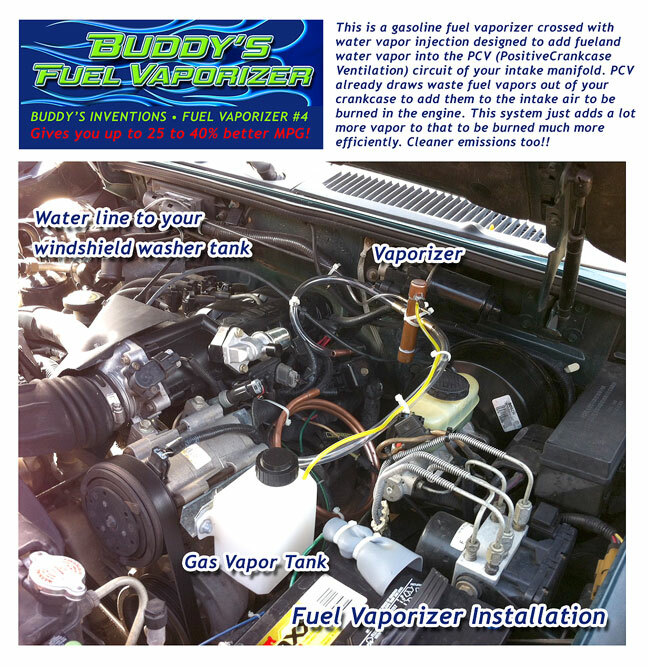 This is a gasoline fuel vaporizer crossed with water vapor injection designed to add fuel and water vapor into the PCV (Positive Crankcase Ventilation) circuit of your intake manifold. PCV already draws waste fuel vapors out of your crankcase to add them to the intake air to be burned in the engine. This system just adds a lot more vapor to that to be burned much more efficiently. One customer with a 460-V8 with dually tires work truck, that pulls a heavy trailer, went from 6 mpg to 14 mpg! No one believes him, is the problem! 98 Ford Explorer, V6 ( orig 17mpg with Volo and vaporizer 23.5mpg or +38% better). Comes with installation manual .pdf file once you order. 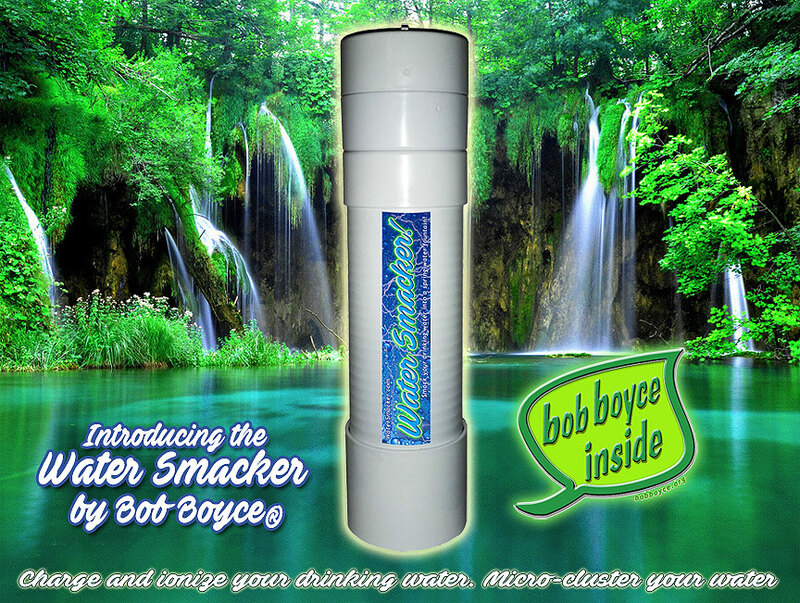 This product has been tested as working well as described here in when installed properly. Be cautious as fuels such as gasoline are highly flammable. The buyer assures all responsibility, and indemnifies, and holds harmless “Buddy’s Inventions” and associates for any accidents or damages.